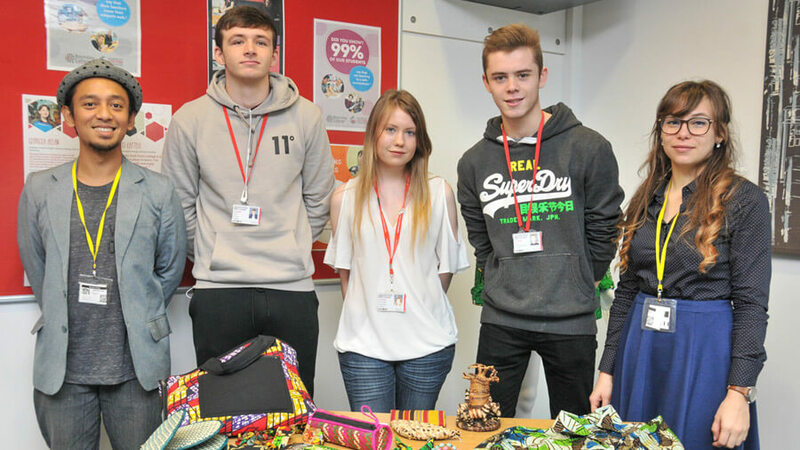 Barnsley College Business students are selling products to raise money for women in Uganda. 52 Level 3 Business students are competing in teams to write a marketing plan and sell a diverse range of products as part of their course. The products including jewellery, laptop bags, oven gloves, pencil cases and clothing have all been manufactured by women in Uganda and are sold in the UK by WaterMade. All of the money raised will be used by the women in Uganda to develop practical enterprising skills whilst generating valuable income and helping to lift them out of poverty.